The summers of 2015 and 2016 were extremely dry ones here in the Northeast. 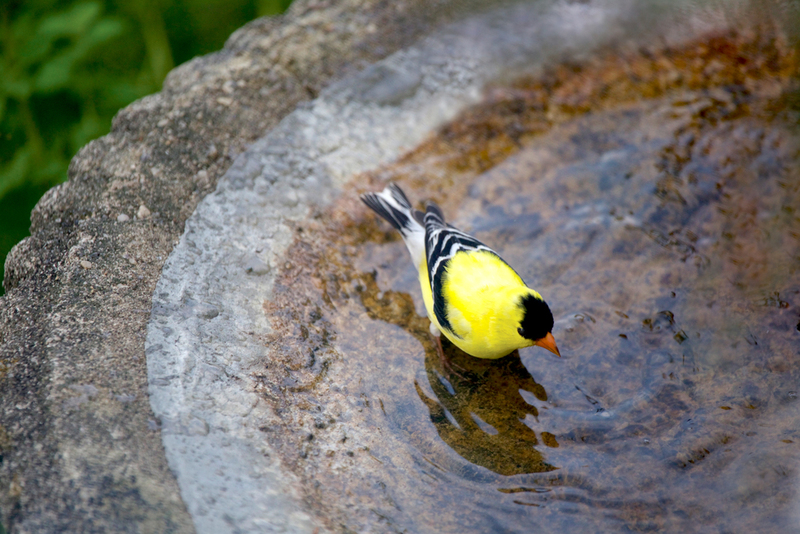 Providing birds with clean, fresh water sources is very important and will help attract a wide array of avian visitors to your yard. "The" Red Fountain. Hummingbird fans have gone crazy over these fountains because they provide an irresistible bathing opportunity for the birds. They are fairly inexpensive too! 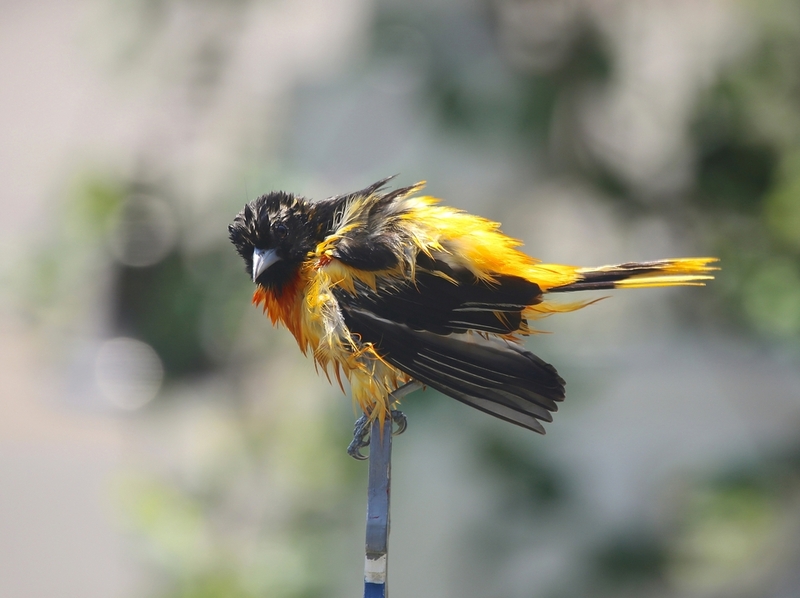 A male Baltimore Oriole freshly bathed from our bird bath out front. An American Robin having a little splash time. Sweet White-throated Sparrow on a cold spring day. If you look closely, His shadow resembles a hummingbird. 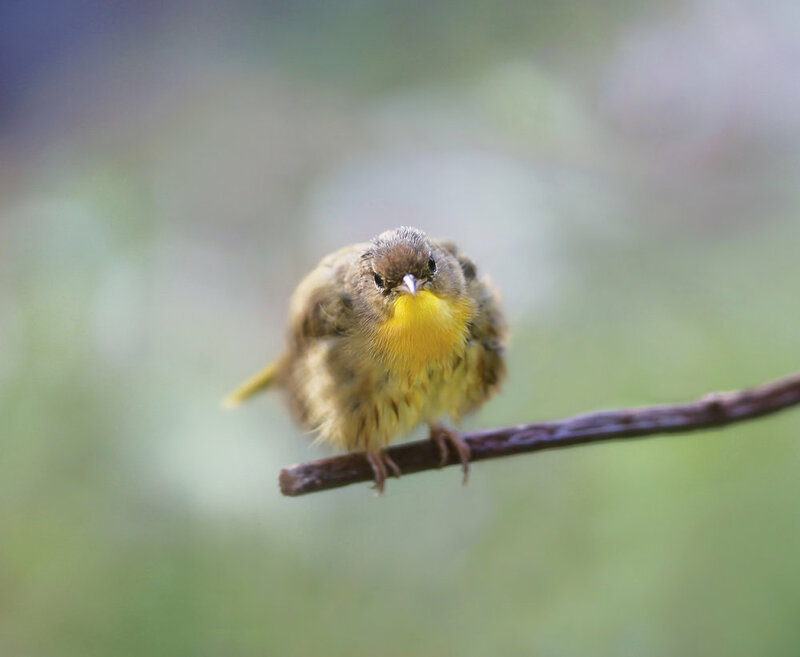 Female Goldfinch preening after her bath. Photo taken from my office window. Male Goldfinch in our bird bath out front. Bluejay outside my window preening itself after a soak in our bird bath. I place a few bird baths in different locations on our property and currently have two fountains and two regular bird baths. I love watching birds taking baths and sips on hot sunny days. And it's not just hot, summer days that they need to drink and bathe - you can keep a heated bird bath going in winter too. Do a google search for options, they are affordable and will be greatly appreciated and used by local winter bird populations. Hummingbirds in particular, love using misters, sprinklers, ponds, and fountains. People have documented hummingbirds taking baths in their fountains, especially the red fountain in the photos above. Here is a link to the red fountain. If they are out of stock, try local Kmart stores, Lowes or Home Depot. Look for them in early spring and on clearance in late summer and fall. 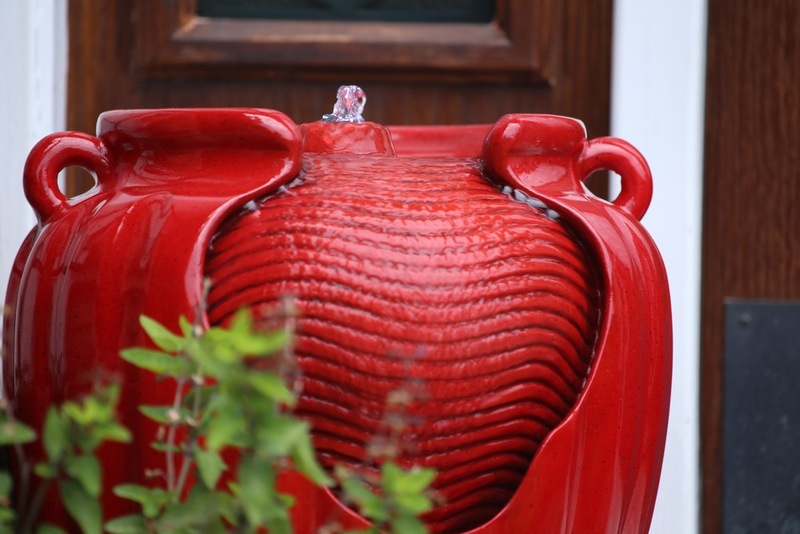 Henri Studio also makes some beautiful fountains although they can be expensive, visit their website here. You can also browse your local Craigslist for some some great deals on used bird baths and other garden items.